Using comprehensive packing services certainly has its advantages but some customers get carried away with their demands and expectations. Qualified packers possess impressive skills and yet there are some things you can’t and should not expect out of them. You have probably heard that before you start packing for a move, you need to first get rid of the clutter in your home. This task is entirely your responsibility and you should try involving the professionals in it. Only you can decide which of your possessions are worth keeping and which should be thrown or given away. Many people are shocked when their movers refuse to pack cans of paint, fireworks or lightweight motorcycles. That is why they have probably failed to read the small print in their contracts. 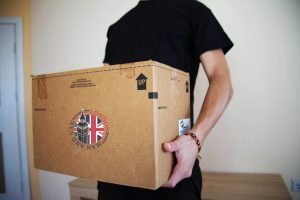 Licensed and insured moving companies may not handle the relocation of things such as confidential documents, valuables, hazardous items and small motor vehicles because they are prohibited from doing so by the law. They need to have a special type of certification and permits in order to provide you with such assistance. Still, even if you rely on the most experienced man with a van in Uxbridge UB8, for instance, you may still need to pack and move your non-allowables and special possessions by yourself if your local council has completely prohibited moving professionals in your area from dealing with such removal jobs. You are moving around the winter holiday season or maybe the birthday of your favourite cousin is just around the corner? Maybe you should ask your packers to give you a hand with the present wrapping? Don’t even think about it! These pros may have been trained to prep and wrap oddly-shaped items such as that pretty vase you got for your mother for Christmas but they are not gift wrappers and they will not tie ribbons for you. When you are relying on experts help to do your packing, you will breeze through this process in no time. Nevertheless, avoid asking your moving company to handle this task on the day of your relocation. It is best if this stage of the move is completed on the day before the move. If you have any specific requests concerning the way your possessions need to be prepped for their transit or the way they need to be handled, talk to your moving team. Do not worry that they may think you are demanding because they appreciate it when they discuss the job at hand with the client. That gives them a clear picture of what is required out of them.